SHARK ATTACK - FASHION BLOG: Outfit // Happy Easter! First of all: Happy Easter! Plus, I treated myself on a little Easter present ... I decided to get a .com, which means my URL is http://www.sharkattackfashionblog.com from now on. I wanted to use 'Shark Attack', but it was already taken and I guess it's a nice reminder that people looking for defense against sharks should not click on my URL. ;) Now, I installed it that way that, while inserting my old URL (http://krizia-shark-attack.blogspot.com), you should be redirected to the new URL, but it doesn't work for me. Does anybody know if it takes some time to adjust or ...? Leuke outfit! Idd heel Rock chic! En proficiat met je .com ik heb het even bekeken en als ik naar je blogspot ga veranderd het idd niet in .com. Maar mss dat het idd wel even duurt. volgens mij moet je dat wel instellen hoor, iets met redirecting ofzo.. heb het ook ooit eens gedaan maar weet niet meer goed hoe het precies zit.. I think it takes up to 24/48h till the server restores the data. so much chocolate, going to explode! HAPPY EASTER :) Looking lovely as usual! Je ziet er super uit meid! 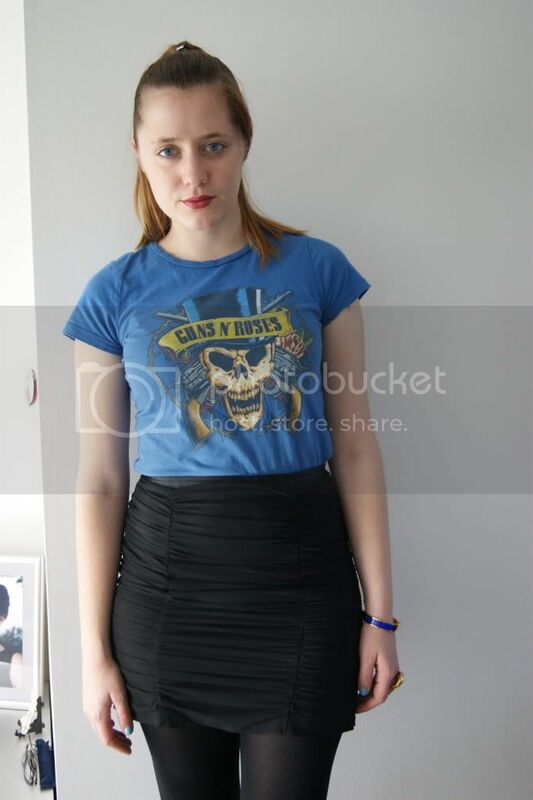 Wow, een leuke outfit en ik vind de nagellak echt super mooi! Echt een leuke outfit, je ziet er super uit! 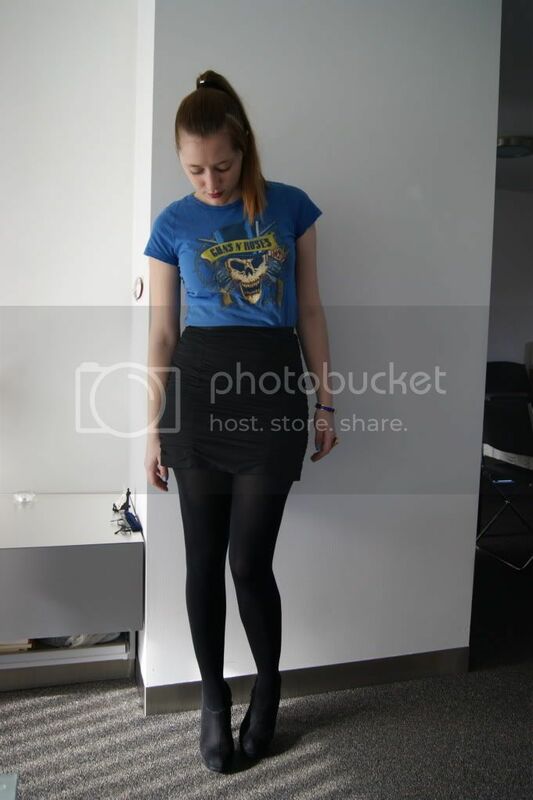 Love the stylish way you're wearing your band tee :) Your new blog URL is great too! Leuke foto's!! Die felblauwe kleur staat je super! looking gooood kri, fijne tshirt! I love this outfit !!! And i love blue ! Your t-shirt is just amazing ! And the mix of your bracelet, your ring and your nail is faboulous ! I'am so in love of the coco blue Chanel nail you put ! This coulour is wow ! Love your outfit ! love the Chanel nailpolish and the whole look! I really love this post. Love the look!!! :D that tee is AWESOMEEEEEEEE...!!!! 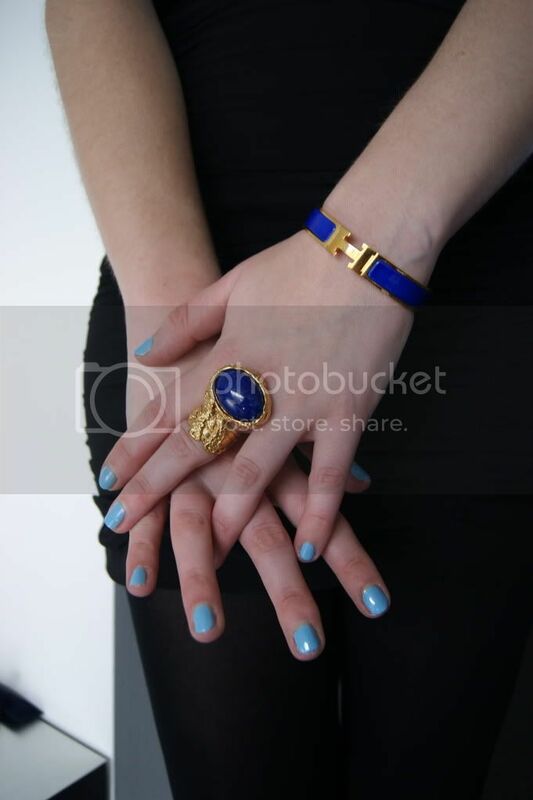 You and I have very similar taste - similar color polish, ring and bracelet !!!! Thank you so much for all of your comments. I always do my best to answer your questions, so if you have a question, I'll answer it here in the comment section! Feature // Une Fée Dans Les étoiles!